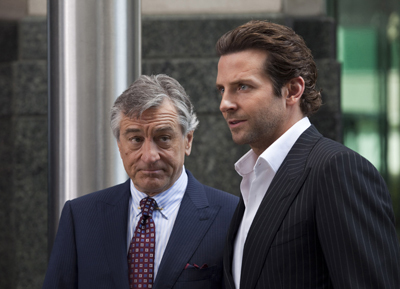 Limitless DVD Review. With plenty of action, a strong supporting cast and a courageously out-there premise, Limitless is one of the most enjoyable blockbusters of late, and an exciting if occasionally slightly ridiculous entry into the burgeoning canon on director Neil Burger. 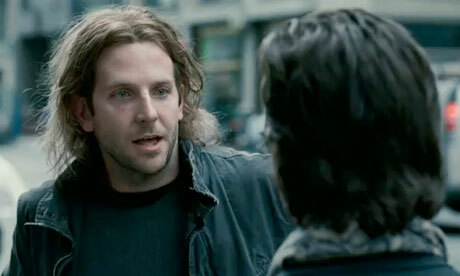 Unemployed New York writer Eddie Morra (Bradley Cooper, The Hangover) is down on his luck, to say the least. Ten years divorced, recently dumped by his girlfriend Lindy (Abbie Cornish) and yet to write a word of his supposed new novel, the dishevelled fellow meets up for a drink with his former brother in law Vernon, a shifty if likable fellow who used to peddle the odd bit of blow. Vernon introduces Eddie to an experimental new pill known only as NZT, a substance he alleges can allow users to activate their full neurological and behavioural potential and which currently retails for a mere $600 a pop. He thoughtfully provides a sample to Eddie, who after a bit of to-ing and fro-ing winds up taking the pills. It works wonders, and he likes it. A lot. After a serious of misadventures involving a moderate amount of Russian crime lords, murder, theft and deceit Eddie stumbles across a seemingly limitless supply of the drug, and is overnight transformed into a rich, dapper, urbane and highly successful chap. He finishes his book in four days, makes millions on the stock market, wows all sorts of Wall Street types including ruthless tycoon Carl Van Loon (Robert De Niro), and becomes a sort of international man about town. The downside is, of course, the drug’s highly addictive nature, and the fact that every shaven-headed thug this side of Moscow wants a taste. Soon it’ll be all Eddie can do to keep his head, literally and figuratively, and avoid calamity striking his loved ones and his snappy collection of brand new Madison Ave finery. It’s a sterling performance from Cooper, arguably the best of his career, and one in which he not only carries the film singlehandedly but also displays a remarkable amount of versatility. De Niro, the most Italian looking man on the planet, phones in his performance as a Dutch tycoon - in the absence of Martin Scorsese he appears content to merely shuffle about scowling, and Limitless is no exception. Thankfully the film is buoyed by strong performances from Cornish, as well as Anna Friel as Eddie’s ex-wife and Johnny Whitworth as her doomed brother. The soundtrack is a magnificent, pulsating affair in 5.1 that stands alongside Sucker Punch as one of the best aural accompaniments of late, and the cinematography cleverly contrasts the drug free scenes with the ‘limitless’ ones by alternating between washed-out achromatic blue-greys and staccato bursts of hyper real colour. 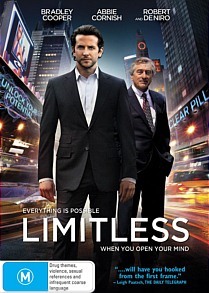 With plenty of action, a strong supporting cast and a courageously out-there premise, Limitless is one of the most enjoyable blockbusters of late, and an exciting if occasionally slightly ridiculous entry into the burgeoning canon on director Neil Burger. Highly recommended.